All elements of the Party Grill® can fit inside the device. Thanks to its detachable legs and lockable lid it is easy to transport and store. 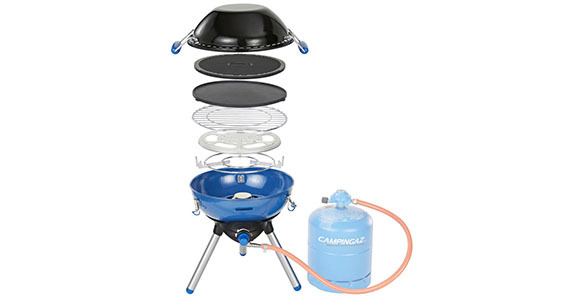 The Party Grill® 400 runs on conveniently sized Campingaz cylinders. The piezo ignition promises simple, match free lighting wherever you are, so you can get the party started.